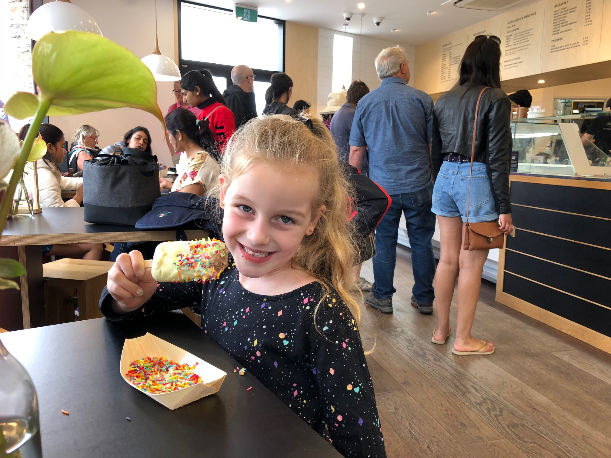 If you’re looking for some family friendly eats while you’re holidaying in Queenstown, New Zealand, we found a couple of amazing places we couldn’t help but recommend if you’re visiting the South Island. 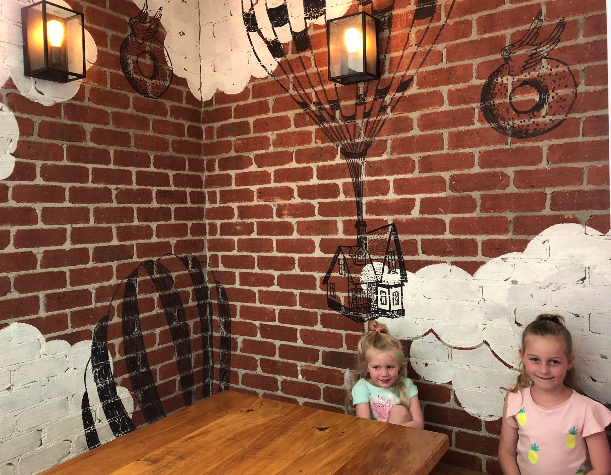 This fun little cafe serves breakfast, juices and coffees but what you really want to check it out for is their ice cream and decadent desserts! The tribe picked some of their delicious pre-made paddle pops, and then had them dipped in melted chocolate and sprinkled with hundreds and thousands. I had a taste of both of their desserts and honestly couldn’t tell you which was better! They were both absolute heaven! 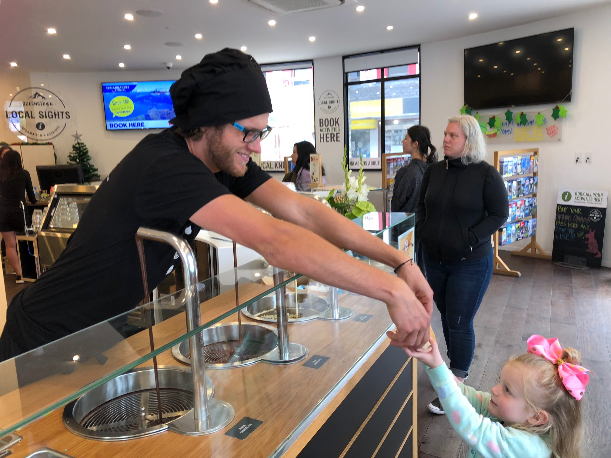 You can also grab a seat upstairs with a big window overlooking the beach in Queenstown and you can watch their chocolate chef making treats while you eat! 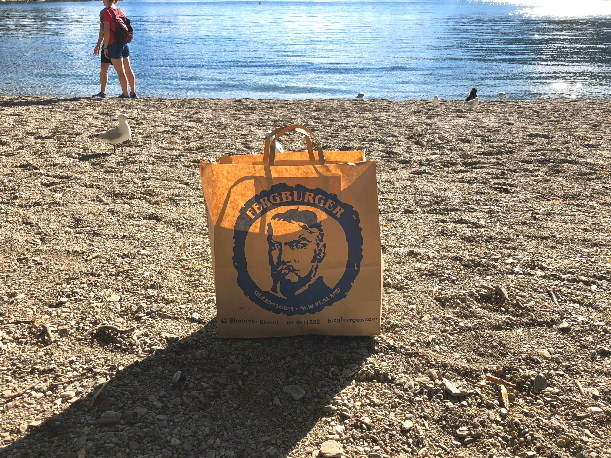 Every time we mentioned we were going to New Zealand on holidays, straight away people said “eat at Fergburger!” We had to join the epic dinner queue one night to see what the fuss was all about and we weren’t disappointed. The menu included mouth watering burgers such as the Sweet Julie – grilled chicken tenderloins marinated in a ginger soy sauce, dressed with sweet chilli, lettuce, tomato, red onion and aioli. Or for something completely different it’s a must to order the Sweet Bambi – wild Fiordland deer, Brie cheese, boysenberry and caramelised onion chutney, lettuce, tomato, red onion and aioli. The kids loved the crumbed calamari and we devoured the fries with wasabi mayo. It wasn’t hard to see from the street that Cookie Muncher Cookie Bar would be a place that the tribe would love. 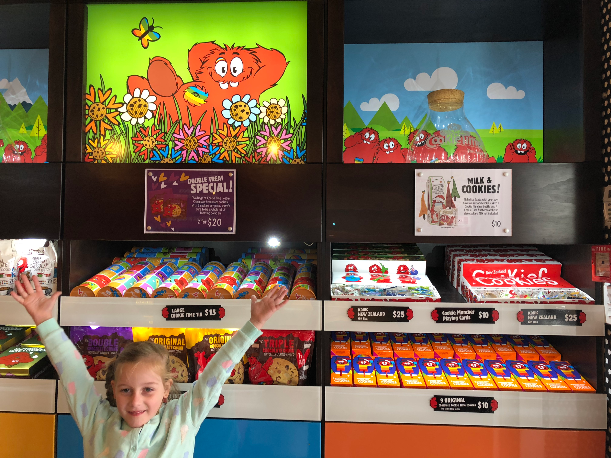 Cookie Time are a brand of cookies made in New Zealand and sold in supermarkets all over the country, but the Cookie Muncher Cookie Bar has brought their brand to life! 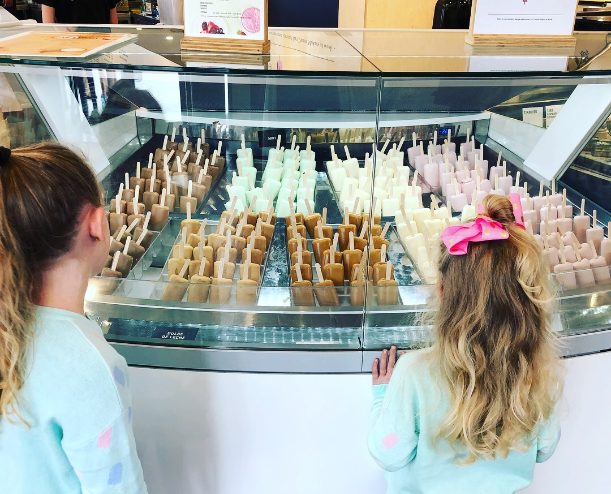 You can order delicious fresh hot cookies, cookie shakes, cookies and cream ice cream, popping candy cookie crackle bombs and amazing hot chocolates. 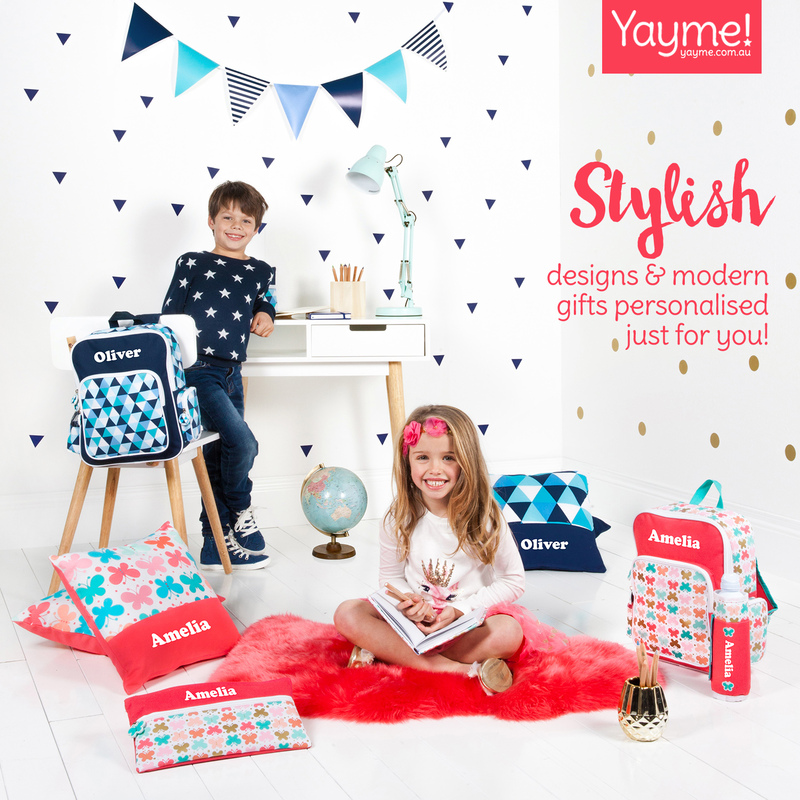 You can also indulge with Cookie Muncher soft toys and other products. 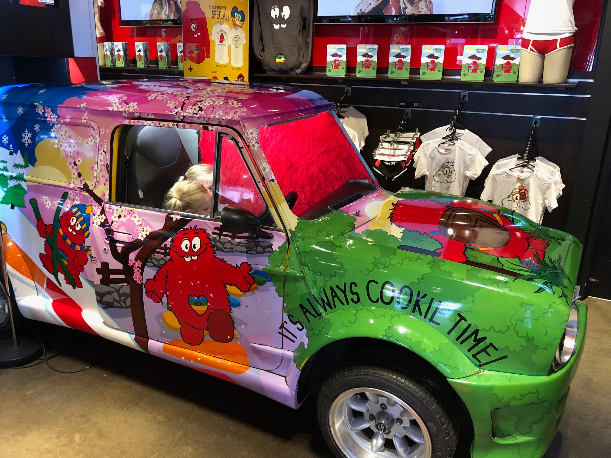 Our kids climbed straight into Cookie Muncher’s car while we looked at all the yummy treats on offer. If you’re looking to treat yo’ self, Balls and Bangles is definitely the way to go. The Balls are donuts and the Bangles are bagles. You can indulge in either a sweet or a savoury treat. They also make amazing Freak Shakes to wash your meal down with. 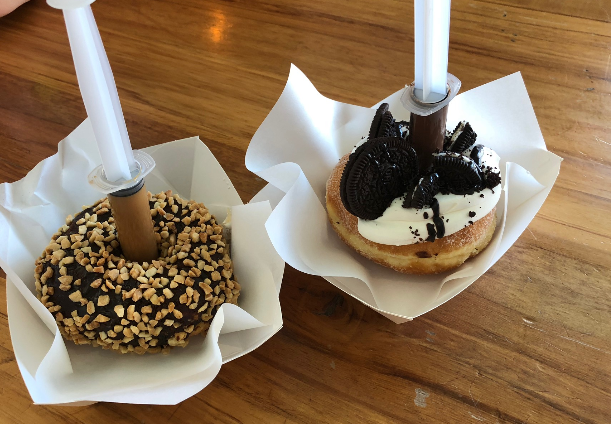 We of course couldn’t resist a sweet treat and ordered a Snickers donut with caramel syringe and an Oreo donut with a Nutella syringe. The freshest fish and chips made while you wait – how can you say no! 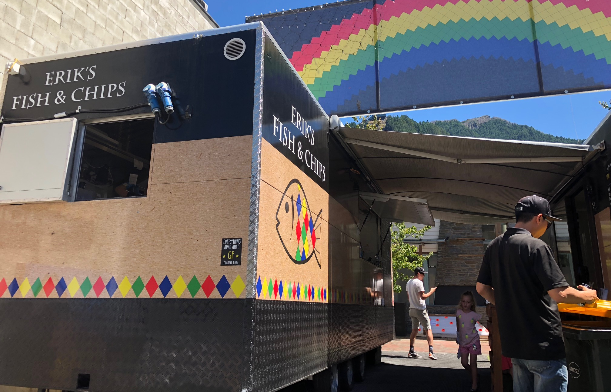 Erik’s Fish and Chips is made from local produce and ingredients and is cooked in a funky caravan. You can take your order with you and have a picnic on the nearby beach or you can grab a seat in the little demountable building adjacent to the caravan where you’ll find condiments on all the tables. They have some pretty unusual but delicious menu options including chunky fries with gravy and cheese and a deep fried kiwi for dessert! They also do deep fried pineapple rings and bananas on a stick. 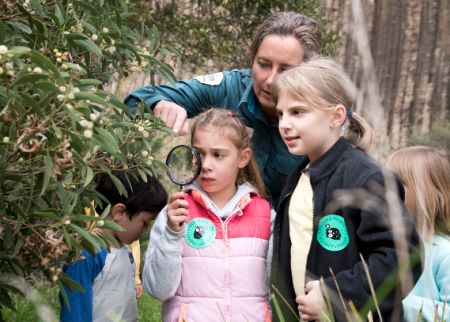 For more on New Zealand, check out this story.